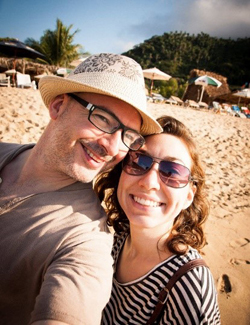 Bookings Consultant Sarah and her husband recently escaped the UK drizzle for some sunshine, tacos and margaritas on Mexico’s Pacific coast. 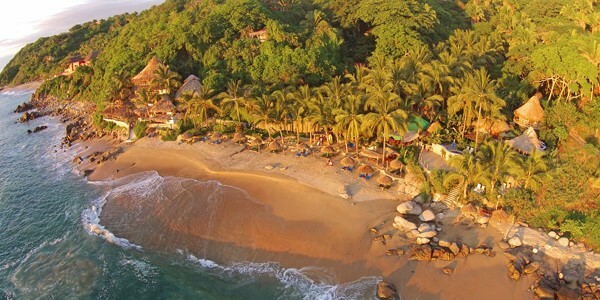 Ever since my first visit to the Riviera Nayarit in 2009, I have wanted to return with my husband – and there’s no better time to trade the cold and rain for gorgeous weather and perfect temperatures. i-escape way, we skipped the built-up strip of all-inclusive resort hotels and headed out of the city for an authentic jungle and beach experience. 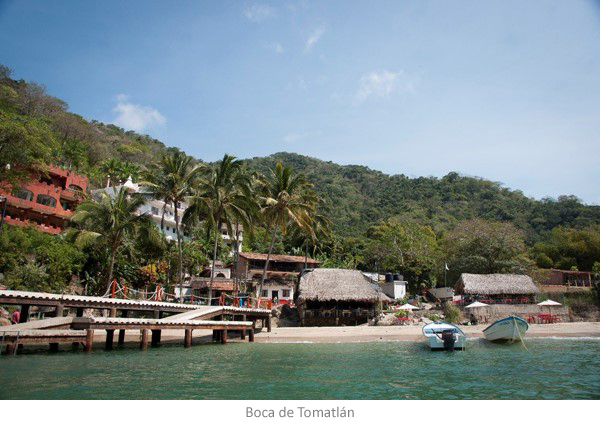 Our trip began with an exhilarating, spine-jolting boat ride from Boca de Tomatlán to hillside retreat Verana. 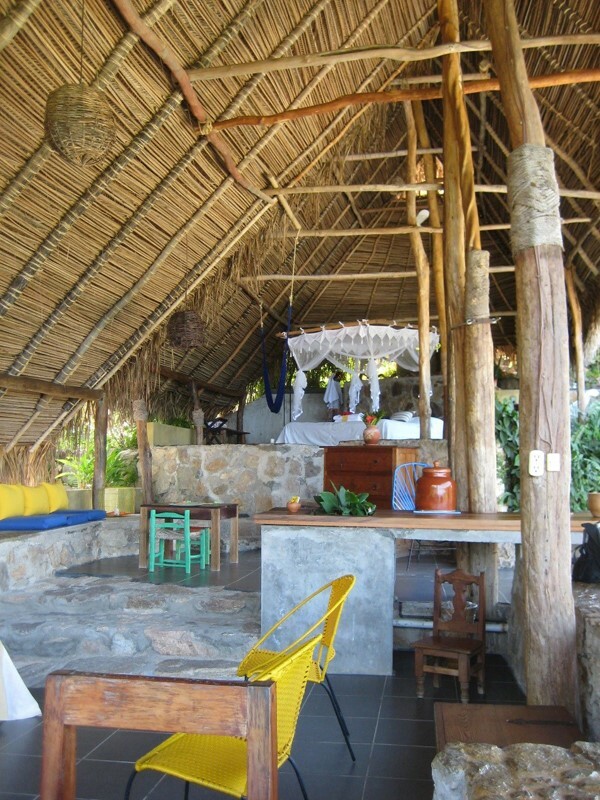 After an energetic uphill climb to the property, we were welcomed with a refreshing drink and a relaxing neck massage before being led to our palm-thatched casita, Palapa. 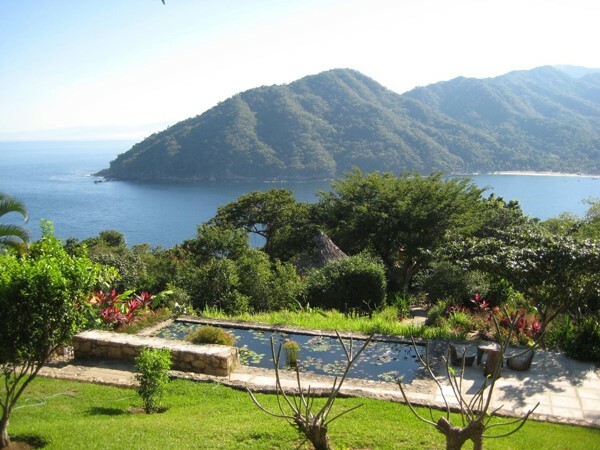 We loved sleeping in a breezy, open-air room, and the view from our private terrace of the bay below was stunning. 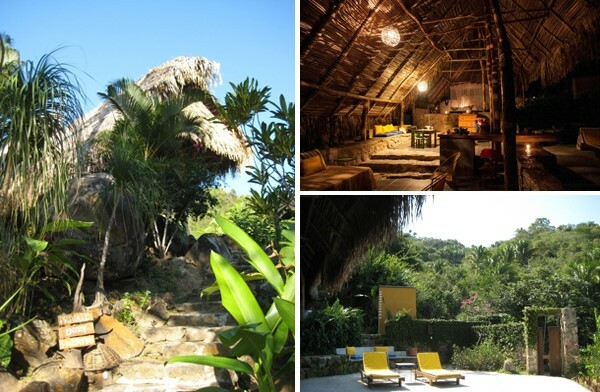 Like all the other accommodation – a mix of traditional houses and open casitas – it was very private and ideal for a romantic getaway. A bit of jet-lag meant we woke up early each morning, but we didn’t mind: it meant we could watch the sunrise from bed and listen as the jungle cacophony took over from the quiet of the night. After lazily transitioning to the sofa to enjoy coffee (discreetly delivered to the birdcage outside our casita), we warmed up for the day ahead at the morning yoga class. Having worked up an appetite, we feasted on a late breakfast of huevos rancheros and tacos accompanied by fresh fruit and juice. Once our tummies were full there was only one thing to do – relax by the pool with a margarita! 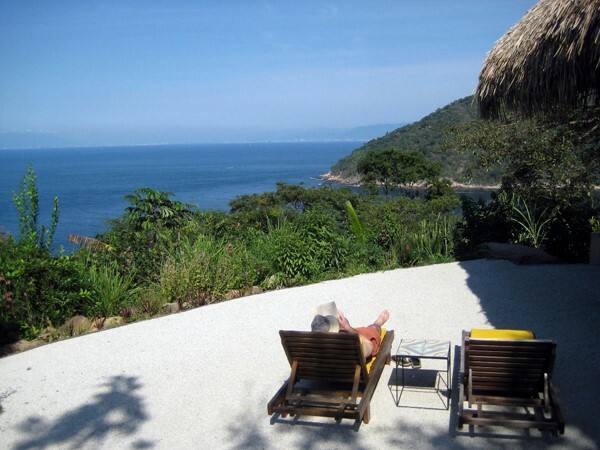 In the afternoons we occupied ourselves with cooking classes (where we learned to make horchata, tortillas, salsas and mole), snorkelling off the jetty amid brightly coloured fish, and walking down to Yelapa beach to watch the pelicans and catch the last rays of the day. Dinners were a real treat, our favourite night being Taco Tuesday (beef, pork and fish tacos to indulge in, with 15 gourmet salsas to top them off). I also recommend trying some of the fine tequilas from the bar – no shots with lemon and salt here, but serious sipping tequilas with unique flavours to savour. 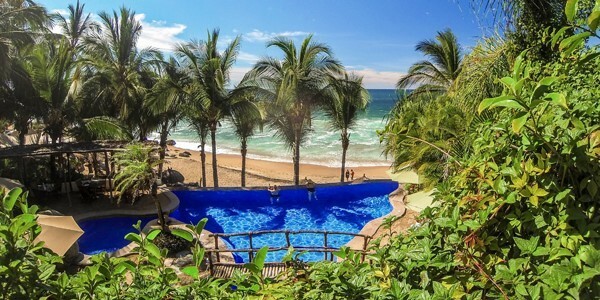 To end our trip, we headed north of Puerto Vallarta to another lush jungle hideaway, Playa Escondida (‘Hidden Beach’) – a new addition to the i-escape collection. It’s conveniently located 45 minutes from the airport, yet it feels worlds away. For us, this place has it all: a private, west-facing beach with gorgeous sunsets; a heated pool and Jacuzzi; plenty of hammocks and loungers; a good restaurant and bar with reasonable prices; lots of activity options; friendly staff, and a relaxed atmosphere. The grounds have a wild look with funky indigenous statues, and twinkling candles line the paths at night. 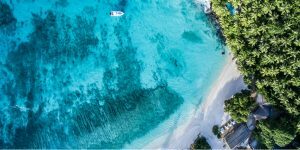 There’s a range of accommodation styles – go for a villa right on the beach, or stay in one of the stilted bungalows for optimal bird-watching from your deck. Whatever you choose, the proximity of the sea means you’ll be lulled to sleep at night by the sound of waves – glorious! 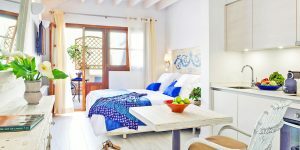 We stayed in the Studio casita, which had colourful sculpted windows, a kitchen, and a terrace with an open shower and ocean views. 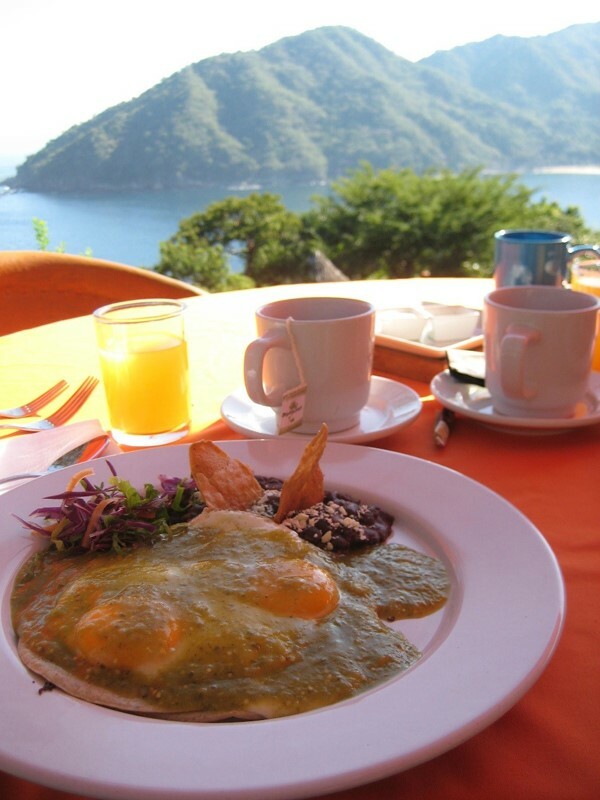 The restaurant has an extensive menu of excellent food, ranging from traditional Mexican dishes to international classics. 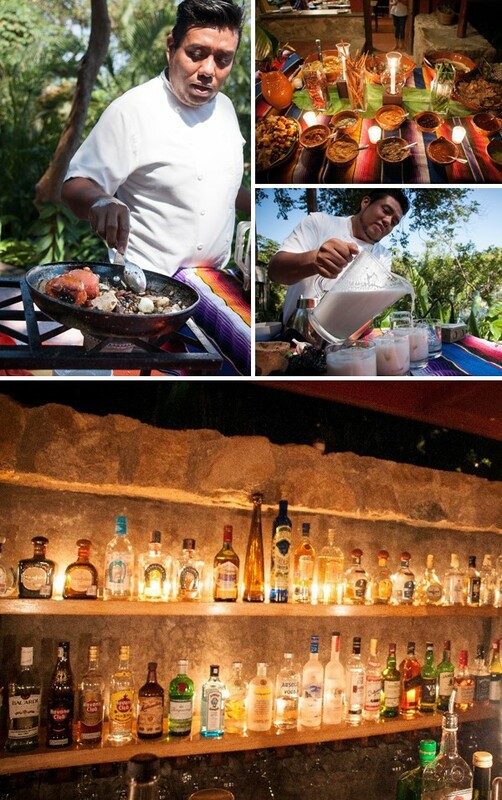 You must try the ceviche, referred to by staff as ‘Mexican sushi’. We ate it every day! 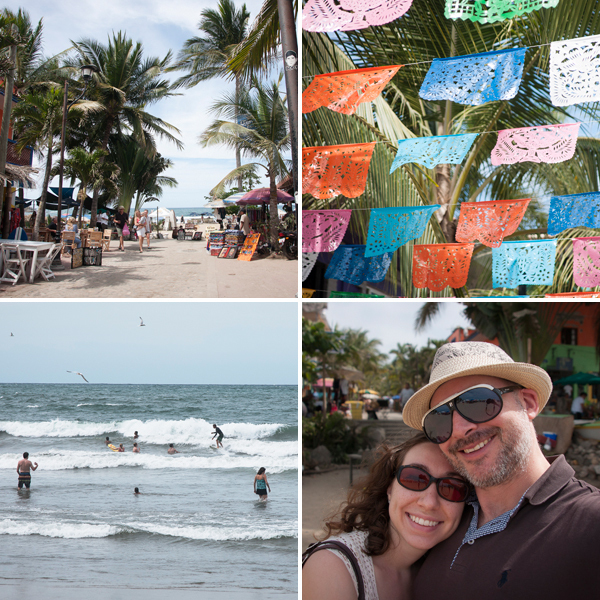 We could have happily hung around at the property all day, but we couldn’t pass up the opportunity to explore nearby Sayulita, only 10 minutes away by taxi. The town is very laid-back, with shops, restaurants and a hippy vibe – don’t miss the Friday farmers’ market (Mercado del Pueblo) for fresh, organic food and artisan handicrafts, including colourful rugs and ceramics. But the main attraction is the surfing – the conditions are perfect for novices and children because the water is calm and shallow. 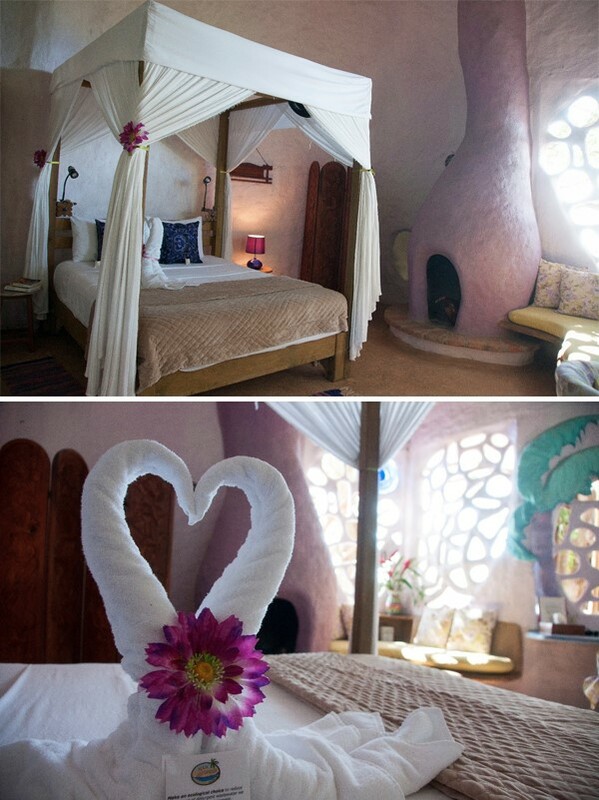 All in all, we thought Playa Escondida offered the perfect mix of secluded relaxation and activity. Staff can organise boat trips, hiking, horse riding, biking and ziplining, and there’s a beachfront spa and a free morning yoga class. It’s the kind of place where you can do as much or as little as you please, and you’re guaranteed to have a fantastic time. We certainly did!